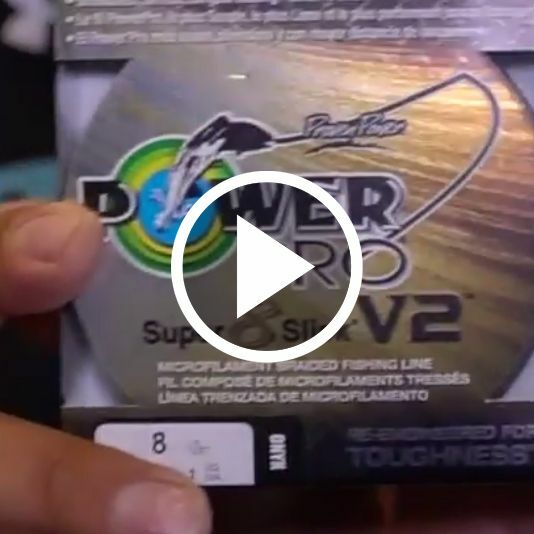 PowerPro Super Slick V2 Braided Line has been redesigned to bring on a new level of toughness. This line features a "smooth as silk" surface. 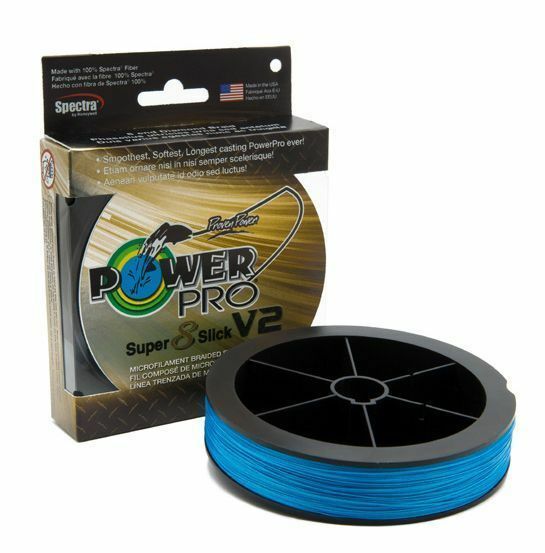 The smooth surface means reduced line friction on the spool and through the rod guides, which allows this Power Pro line to cast like a bullet. It's made with dense weave, 8-end construction with proven EBT coating process. This line also features added abrasion toughness. This provides the strength and power for this line to rip through the heaviest cover with the same force as traditional 4-end braids. 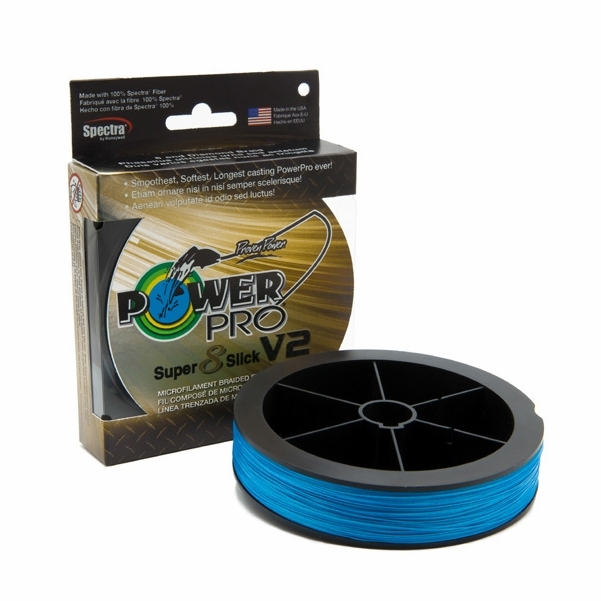 Super-Slick is 8-end Spectra fiber construction for anglers who demand high performance. 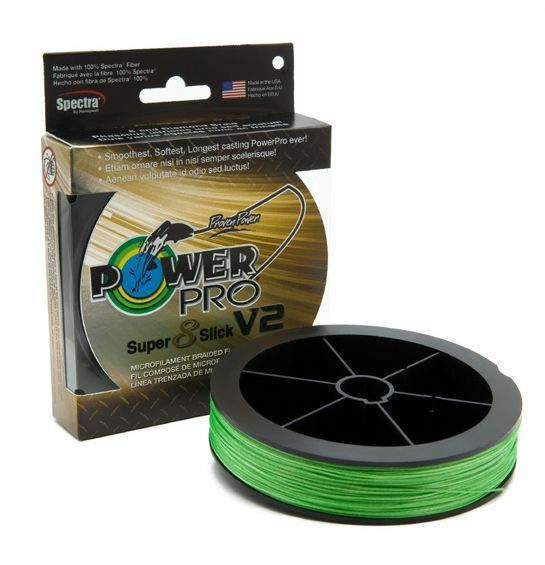 Available in traditional Blue, the popular Moss Green and now introducing Hi-Vis Aqua Green for the visibility minded angler, and Onyx for those looking to catch the monster Bass. ItÃ¢€™s very smooth & thin, used couple of trips still like it. Spooled up 140 yards on my Reel. Using a 1/2oz. Spinner, my first cast was beautiful straight across the river into the mud wall on the far side. I'd say 60 yards, never did that with my old line. Wow! ConsGives you the ability to cast into trouble. This is a good line for small baitcasters. 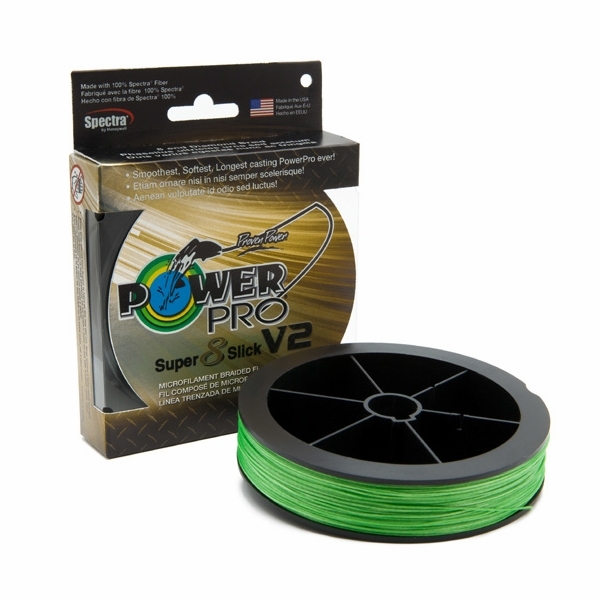 I have it packed on a Shimano Curado DC I use inshore. Seems to minimize wind knots. Its new have only used it a couple times. Long time super 8 user and I like this better so far. Were expecting the V2 super slick in sometime in October. As soon as we receive the line a order can be placed for it. I have a reel that hold 400yds 80lb. 80lb. seems to only come in 300 and 1500 yds. Am I forced to buy 1500 yds to avoid a splice? Hope not would like not to splice or be force to a tackle store. Which is 75 miles from here.